A dress ring with a difference. Impressively elegant, square cut blue topaz ring. Edged by diamond after shimmering diamond and set on a 9ct white gold band. 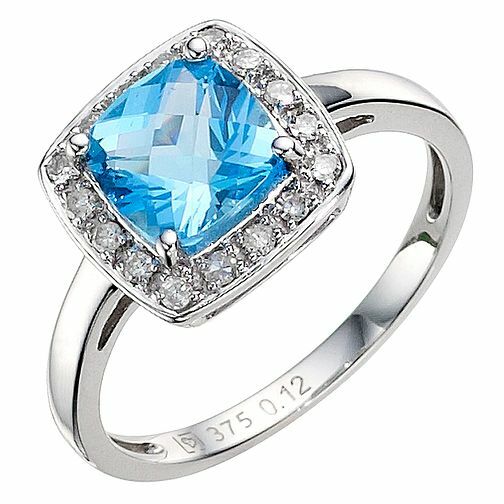 9ct white gold blue topaz ring is rated 5.0 out of 5 by 2. Rated 5 out of 5 by Anonymous from Eye catching I Love this ring. Had lots of compliments from all ages..